Over 3 million people are injured in accidents each year – at home, in their cars, at work, or outdoors. Though mishaps are commonplace, the pain and suffering caused as a result of personal injury can be severe. In many cases, someone else is at fault, and victims have a right to compensation. If you or a loved one has suffered an injury as a result of another person’s actions, you may be eligible for damages under personal injury law. Personal injury law is complicated, but with the help of a personal injury lawyer the process of making a claim is easier and more effective. The first, and potentially most important step in filing a personal injury claim, is gathering evidence. Ambulance, hospital, physician, therapist, vocational and others records must be obtained to further develop details from the accident, injuries and related issues. Without this information, your case cannot be properly presented and full compensation may not be obtained. Contacting a skilled and experienced personal injury lawyer will help you determine the best course of action. 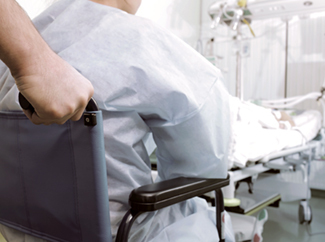 O’Donnell Law Offices has proven results representing clients who have suffered serious injuries due to the negligence, carelessness and intentional acts of others. Our founding attorney, Neil O’Donnell, is a Board Certified Civil Trial lawyer, with years of experience in personal injury trials. Schedule a free consultation with O’Donnell Law Offices to discuss just compensation for your injuries, including medical expenses, rehabilitation costs, lost wages and pain and suffering. There is no fee or costs until we win your case.